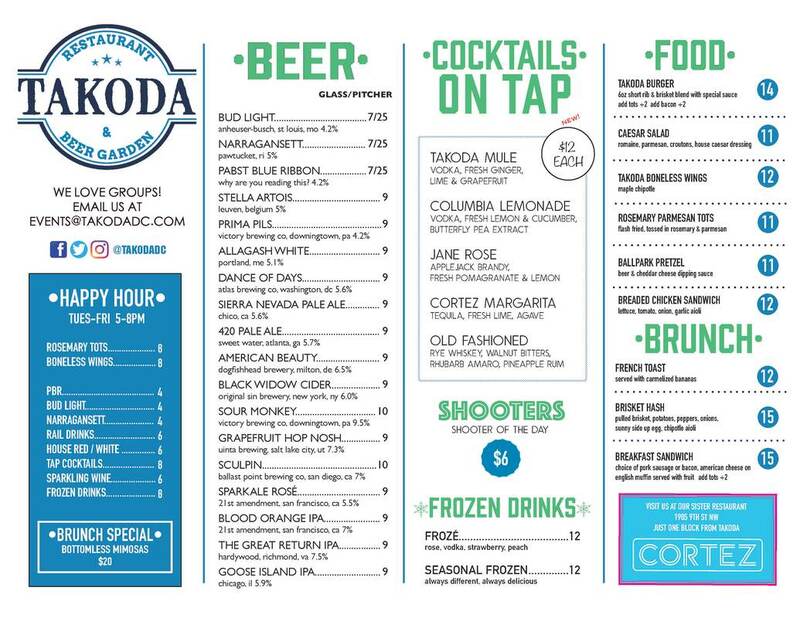 Join TAKODA for Happy Hour and sample our delicious small plates & specials. With half price appetizers and heavily discounted wine, beer and spirits, you're guaranteed to find something you love. Skip the clean-up, handling and meal prep this evening - Treat yourself to a relaxing night off - Or commit to that impromptu after-hours business soiree. Our exciting environments are perfect for large parties. We also have plenty of private nooks and crannies for more intimate gatherings. To learn more about our specials, please contact our staff here.